Pre-heat the oven to 350 degrees. 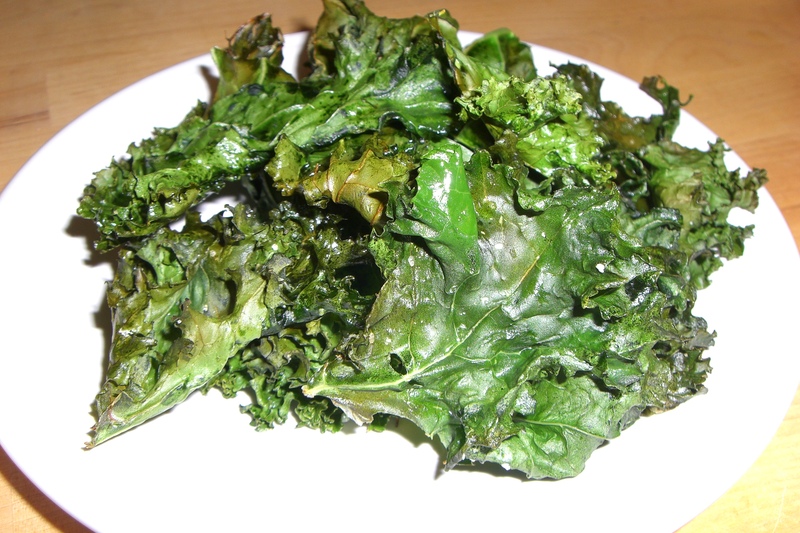 Rinse and dry the kale. Remove the leaves from the thick stalk, and tear into smaller pieces. Add to a bowl and toss with the olive oil. Sprinkle with a pinch of sea salt. Line 2 baking sheets with parchment paper. Evenly spread the kale on the sheets. Try not to have any overlapping. Bake for 10 minutes, or until the outsides are just browned. I got a “double thumbs up” from my husband on this one. He claims that roasting brings out the good flavors of kale, and it doesn’t have the bitterness.